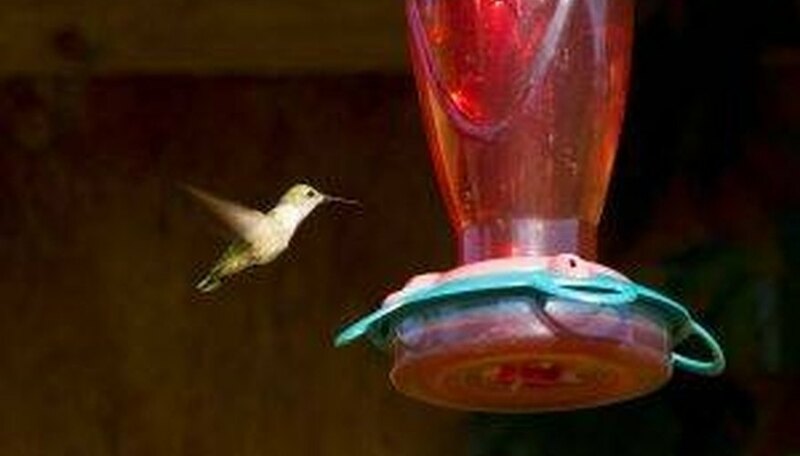 According to the Hummingbird Society, sugar-water feeders are not junk food for hummingbirds. These feeders supply needed energy for flight. A hummingbird's wings beat more than 50 times per second. They are popular birds and a favorite of backyard nature enthusiasts. Hummingbirds do not require expensive, prepared, feeder nectar, as they fulfill their protein requirements by consuming small insects. It is acceptable and easy to make hummingbird food for your feeder. Bring water to a rolling boil. Allow the water to cool completely before mixing the sugar in; you need one part sugar to four parts water. Do not mix the sugar into hot water, as it will turn into syrup, which the hummingbirds cannot eat. Do not use distilled water. 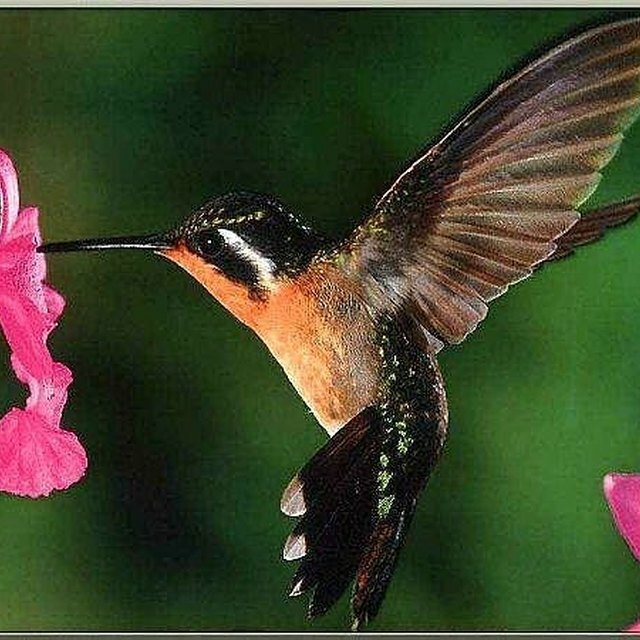 Hummingbirds seem to prefer cane sugars over beet sugar, so use plain, white sugar. Mix the sugar and water completely. Let it cool. Fill the feeder with the mixture. Store unused portions of the hummingbird food in the fridge for up to a week. Keep an eye on your feeder to make sure the food does not become cloudy. Hummingbird food stays fresh in the feeder for approximately 4 days. Always clean the feeder thoroughly before refilling, and never top off the feeder between cleanings. Hummingbirds will come to rely on your feeder, so keep it filled with fresh food. Clean your feeder regularly with a vinegar solution and rinse thoroughly. It is not necessary to dye hummingbird food red to attract the birds. Do not use honey instead of sugar, as this can be deadly to hummingbirds. Change the sugar water every 3 to 4 days, or if the sugar water becomes cloudy, to avoid mold growing in the feeder. Harrington, Jenny. "How to Make Hummingbird Food for Feeders." Sciencing, https://sciencing.com/make-hummingbird-food-feeders-4870586.html. 24 April 2017. What Is the Sugar Water Formula for Humming Bird Feeders?